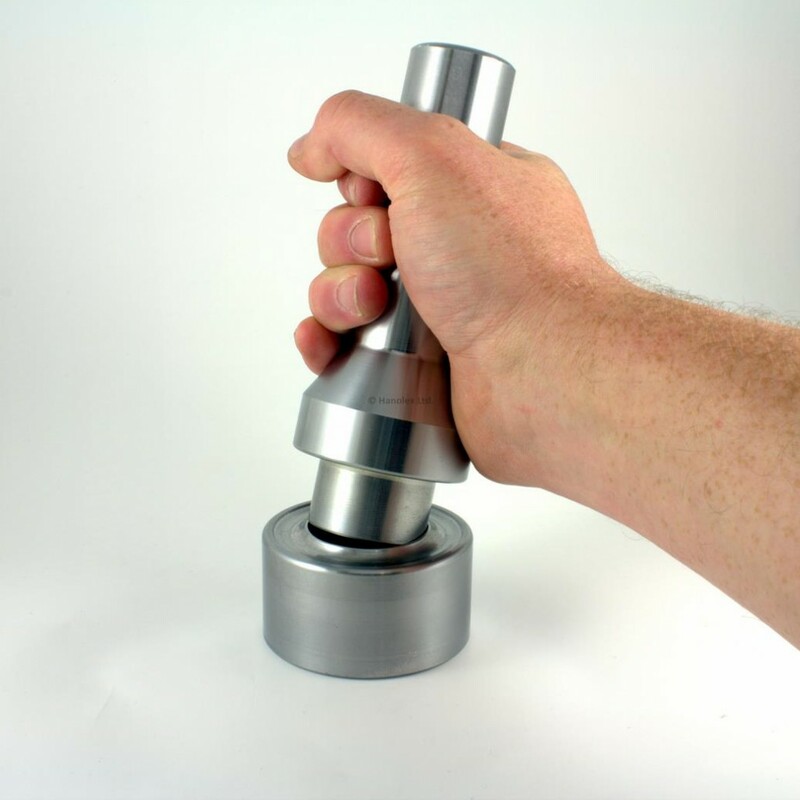 The Hanolex™ range of hand tools enables anyone to fit almost any type of eyelet in to almost any type of material. Available for most sizes of eyelet our high quality professional tools include hole cutters, eyelet setters and soft faced hammers. As well as our standard toolage we can also produce custom toolage for special or intricate applications, please call our sales team to discuss this further. Scroll down to see how easy they are to use. Hand tools are available on our web shop. Alternatively, please contact us directly for information on our complete range. Use the hole or “wad” cutter to create the correct size hole in your material, the wad cutter is hit against a hard (non-metal) surface using a soft faced hammer. Strike the setting tool with the hammer to roll the barrel of the eyelet back around itself gripping the material, JOB DONE!